Alison Thomson of Lepiane Winery. Thomson’s path to winemaking was through a fascination with plants of all types. “I love fruit,” said the El Cerrito–raised UCSB grad, who worked on native landscaping after college, getting more than 100,000 plants to thrive around her alma mater’s Manzanita Village. She’d already become enamored of the wine lifestyle during an undergrad study-abroad stint in Siena, Italy, and got her first tastes of the wine business during tasting room jobs at Sunstone in Santa Ynez and Pine Ridge in Napa. So Thomson pursued a graduate degree at UC Davis in 2004, where she studied the effects of vineyard topography on resulting wines (not much, apparently). In 2005, she took an eye-opening trip to Barolo, Italy, where she met the legendary Angelo Gaja and tasted nebbiolos from as far back as 1989. “They were knocking our socks off,” she recalled. The next year, she returned to Piedmont for an internship under Sergio Germano, working 17-hour days, seven days a week, and enjoying every second. Other than Palmina, there weren’t many other producers in the area focused on nebbiolo, nor on barbera, another Italian grape Thomson wanted to explore. “If I really wanted to keep working with Italian varietals, this was the only way I could,” said Thomson, who started her brand in 2013 by making nebbiolo and barbera as well as grenache. 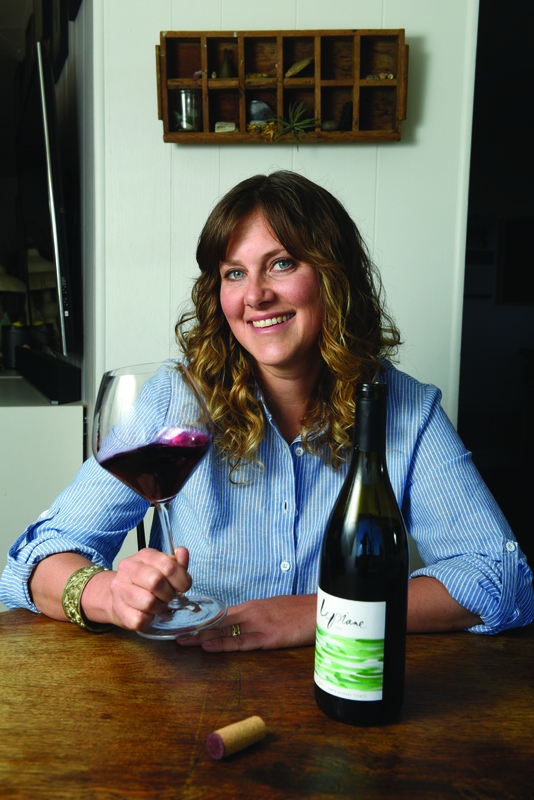 “I love grenache because it leans in between nebbiolo and pinot noir.” She makes the latter (and chardonnay) as consulting winemaker for JCR Vineyard, one of her current ongoing gigs. For the winery’s name, Thomson honored her great-grandfather, Luigi Lepiane, who came to California from Calabria, Italy. By 1917, he’d settled in Hollister to run a grocery business, and in 1935, he decided to open an adjacent winery. Lepiane died of cancer only four years later, so Thomson decided to revive the Lepiane name on her labels. Today, Thomson; her husband, George (a project manager for the City of Santa Barbara’s Parks & Recreatioin division); and their two kids live on a 17-acre, greenhouse-packed property near More Mesa in Goleta. That’s where she showed me her latest releases, including the 2013 barbera (from Walker Vineyard), grenache (Black Oak Vineyard), and nebbiolo (Sisquoc Vineyard). They’re all extremely expressive and yet relatively light on their toes, making them both great for food as well as simply sipping. Though she is keeping her production to around 300 total cases, Thomson is expanding into new properties in the vintages to come and is making a co-fermented nebbiolo-barbera blend in the Langhe style, due for release next year.